Washington’s potential willingness to arm the Ukrainian military has elicited an unusually frank reaction from former Italian PM Mario Monti, who warned that Europe must not be viewed merely as “tool” of US global interests. Recently speaking on private Italian broadcaster LA7, Monti warned that there was a definite risk of the conflict in Ukraine spilling over. “For now it’s a limited war, but be careful, you [advocates of arming Ukraine] are creating among Europeans a climate of mistrust and mutual misunderstanding that could take us too far,” he said. When asked how he felt about Washington’s recent proposal that it could send defensive lethal arms to the Ukrainian military, including anti-tank and anti-mortar systems, Monti said he believed such a move would prove “intolerable” to Russia. “I believe that the United States does not always realize that Europe has its problems, and cannot be seen only as a tool of the global interests of the United States,” he said. 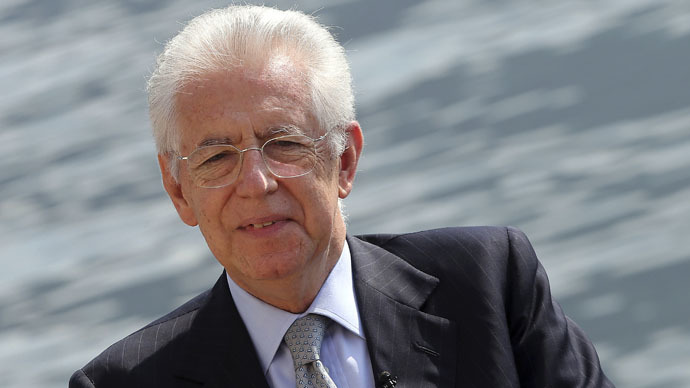 Long viewed as a technocratic leader and Brussels insider, Monti, who took over the reins from Silvio Berlusconi in 2011, has been a perennial voice of moderation in Europe. Also on Saturday, former French President Nicolas Sarkozy said that Europe is part of “a common civilization with Russia,” saying they needed to avoid conflict on the continent. The leader of France’s rightwing National Front (FN), Marine Le Pen, similarly took Brussels to task for not forming a Ukraine policy that was independent from Washington’s position. "European capitals do not have the wisdom to refuse to be dependent on US positions on Ukraine," Le Pen told French journalists on Sunday. "Regarding Ukraine, we behave like American lackeys," she said, before warning that “the aim of the Americans is to start a war in Europe to push NATO to the Russian border."